I like to think of Rolla Roaster as a champion for campfires—and the memories that are made around them. After all, some of my fondest memories have been made while camping with family… and friends who feel like family. (Yes, I’m talking about you, Holzer family!). 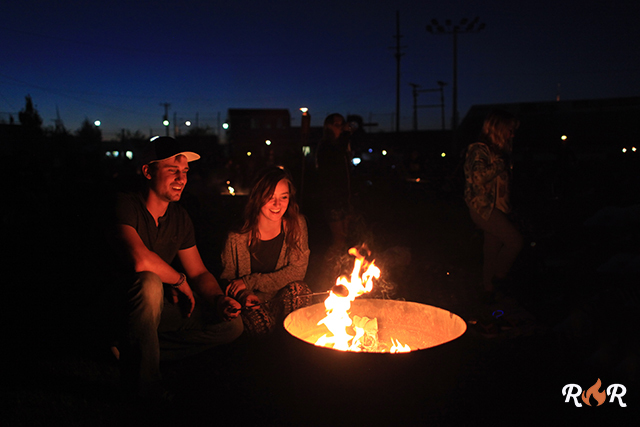 So, it was really fun to work with another company who loves campfires as much as we do. Hats off to the Lantern Fest for promoting family togetherness! And that brings me to my absolute favorite thing about the Lantern Fest… I loved watching all the families spend quality time together. Couples danced, happy and in love, while upbeat tunes filtered through the air. Children jumped in the bounce house until their cheeks were rosy and pink, their eyes sparkling with laughter. Friends swapped stories, the tinkling of laughter echoing across the grassy field. One word came to mind: love. Sometimes people get weird around that little four-lettered word. But love doesn’t always have to be romantic. It can be all sorts of things. And sometimes it’s just an overall feeling of happiness and contentment. And the Lantern Fest fostered the perfect environment for that kind of love to blossom and grow. Relationships were nurtured—between couples, parents, children, grandparents, siblings, dear old friends and brand new ones. At the Lantern Fest, relationships of all kinds were made vibrant and anew. You could feel the excitement build as sunset drew near. And, sorry Tangled, but no movie (or perfectly sung duet) could possibly do it justice. We were lucky enough to spend the entire day there… and it truly felt as if each moment was building up, and up, and up to the grand finale—that magical crescendo when the lanterns finally began their journey skyward. And finally (finally!) 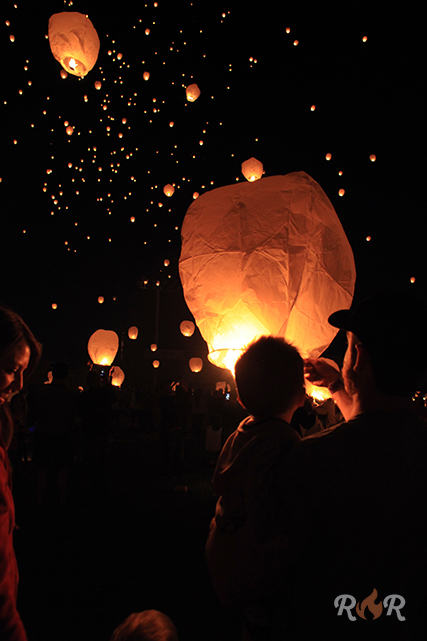 we watched in absolute awe, taken by the beauty, as hundreds upon hundreds of glowing lanterns filled the moonlit sky. Up and up they soared, dotting the sky like beacons of hope. And surrounded by my family and friends, I felt happy and loved like never before. But don’t take my word for it. Catch the Lantern Fest at a city near you! Posted in Campfire Cooking, Camping, Life.